Fractures, also known as bone fractures, is the medical term for a broken bone. This guide will cover the many types of bone fractures that may occur. How to understand the bone fracture healing process. Its signs and symptoms. And also how to treat it safely and effectively. 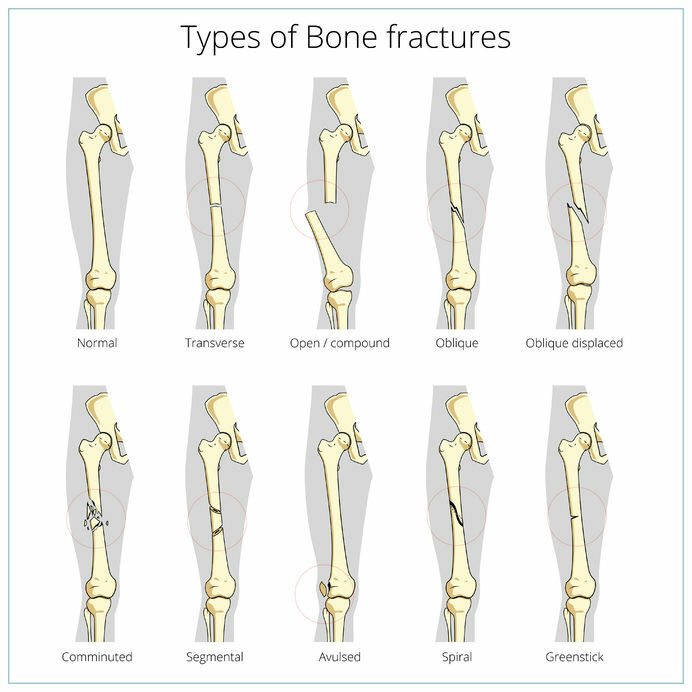 There are many types of fractures, but the most common are simple fractures and compound fractures. Greenstick fracture: This is when the bone is bent and has not completely fractured. Transverse fracture: This is when the break is across the bone at a right angle. Avulsed fracture: This is when there is a separation of a small fragment of bone near the attachment at the ligament or tendon. Oblique Fracture: This is when the fracture is at an angle and the bones stay at an alignment. Oblique Displaced Fracture: This is when the fracture is at an angle, but the bone do not stay at an alignment. Comminuted Fracture: This is when the bone has fragmented into multiple pieces. Segmental Fracture: This is when a fracture occurs in two parts of the same bone. Spiral Fracture: This is when a bone fracture occurs at a torque or twist. This type of fracture is common during activity where one extremity is planted. You may have heard the term Dowager’s Hump (Kyphosis), which is quite common in people who have osteoporosis in the spine. This refers to the forward curvature of the spine that results in a stoop or hump and can cause vertebral fractures. This fracture is commonly called a wedge fracture. This is when the front of the vertebra collapses, creating the curved spine. The interesting thing about this type of fracture is that it is often painless. Yes, you can fracture your vertebrae and not even know! 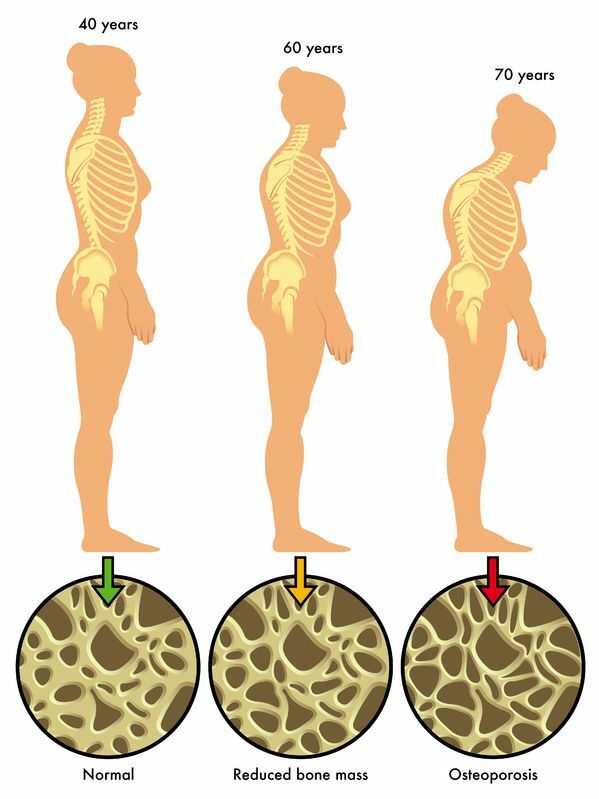 Just like any other part of your body, when you begin to lose bone density in your spine, the bone becomes porous. These porous or weak bones are more likely to fracture. The most common movement that results in this spontaneous fracture is when someone bends over or leans to the side. Below is the visual effect of osteoporosis when it comes to vertebrae fractures. You will notice the loss of bone density with age and the slight curve of the spine. If you or someone you know has visible effects, get tested. A DEXA scan will determine if the culprit is bone loss. There are many different types of fractures, but the good news is, they all follow the same bone fracture healing process. Bone Production: This next step occurs when the blood that is clotted from the inflammation is then replaced with fibrous tissue and cartilage. Once that is complete, it then is replaced with hard bone. 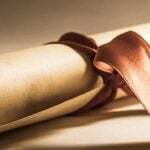 Bone Remodeling: The final step of bone healing can go on for several months. In this remodeling stage the bone, “continues to form and become compact, returning to its original shape.” Blood circulation will also start to improve in this area again. It is advised that you be monitored by an approved healthcare provider during the bone healing process. They will guide you and be able to tell you when you have reached the certain point during your recovery where you can start to incorporate weight-bearing exercises into your regimen. Weight-bearing exercises will continue to help the bone heal and remodel. To learn more about the time it takes for a bone fracture to heal, go here. But generally, the older the person is, the longer it takes to heal. Children for instance, heal much quicker than adults. Increase Blood Flow: Increasing blood circulation in your body, particularly near the fracture you have, can help promote cell growth and speed up the healing process. Discuss exercises and movements with your healthcare provider that will increase blood flow, without hindering the bone healing process. Increase Protein Intake: Your bones are made up of half protein, by volume. That’s why it’s important to get adequate protein intake from either your diet or supplements. Protein helps to make up the scaffolding of your bones, which is what crucial mineral likes calcium attaches itself to. Increase Mineral Intake: Most people are deficient in not just one, but many minerals. In addition to calcium, trace minerals like silica, manganese and vanadium are found in your bones. Getting enough of these trace minerals is not always easy with the typical Standard American Diet. So try supplementing with a clinically supported, multi-nutrient bone building supplement, which also promotes bone healing. This will ensure that your bones are getting the adequate amounts of vitamins and minerals needed in case of any shortfall from your diet. Common areas of bone fractures are the hip, wrist and spine – but that doesn’t mean fractures can’t happen in other areas. The large number of bone fractures occur due to high force impact or stress: car accident, falls from heights, playing on unsafe surfaces etc. However, some fractures may be caused by medical conditions that weaken the bones, such as osteoporosis or bone cancer. This varies from individual to individual. But generally, bone fractures heal within 6-8 weeks. There are exceptions though. Age, medication conditions, location of the fracture and nutritional status all play an important role. How is the fracture of the bone healed? What bone fracture healing vitamins do I need? Diet and supplementation are essential to the bone healing process. Make sure your diet includes dark leafy greens, veggies, fruit and nuts as well as cold-water fatty fish like salmon. Salmon has one of the most potent antioxidants on the planet called astaxanthin and combats inflammation in the body. What your body doesn’t need are highly processed and sugary foods. Cut them out as much as possible. What is the difference between broken bones and fractures? Nothing. A ‘fracture’ or ‘bone fracture’ is the common medical term. While a ‘break’ or ‘broken bone’ is commonly used by lay (non-professional) people. Do you have questions about bone fractures that weren’t covered here? Comment below! Rachel 19/10/2016 I have a fracture leg for a year now and it has not heal as yet the bone is taking too long to join or I must say grow back what can I do to help my bone I really need help what can I use? 3. Increase mineral intake! We recommend AlgaeCal Plus because it’s been clinically supported to increase bone density. While this is specific to bone loss and osteoporosis, this formula also promotes bone healing and will ensure you’re giving your bones the vitamins and minerals they need. Also, depending on your stage of recovery, it’s important to add back in exercises that will stress your bones (in a positive way). This can include weight-bearing exercise like walking, hiking etc., but you should definitely ask your physician before starting an exercise program as they will know your limit if they’ve been following your recovery. Wow – thanks for sharing, Jeri! It’s so wonderful to hear that AlgaeCal helped you increase your bone density by 7%! Congratulations…it’s a big deal. You should be proud :). I am 71 years old. Six months ago I fell off our treadmill and broke the femur bone in my right leg and my right shoulder. I just started taking Algae Cal plus and strontium and I take a good plant based Omega 3-6-9. I drink pineapple juice every day and I try to eat lots of fruits and vegetables. I still seem to have inflammation in my leg/hip and wondered what you recommend doing or taking. Compression fractures can be caused by trauma, in your case a fall. The most common compression fracture in adults is in the vertebrae due to weakening of bones – also known as the ‘Dowager’s Hump’ or Kyphosis. Technically speaking, the bone has failed in ‘compression’. In your case, it sounds like you may have experienced a buckle or greenstick fracture (explained above). This most commonly occurs at the distal radius or tibia following a fall on an outstretched arm; the force is transmitted from carpus to the distal radius and the point of least resistance fractures, usually the dorsal cortex of the distal radius. I broke the nuckle of my little finger on Dec.13 last year. But I did not go to a Dr. until 6 weeks,later. They put a semi soft hard cast for 2 weeks than a brace for 4 weeks. But it achs and is slightly swollen and hand is numb little finger cannot straighten out. Or touch the next finger. I don’t think the fracture is healing right? What should I do? Sorry to hear of the pain in your finger and hand. It doesn’t sound like it healed properly, but to know for sure, you should go to your Doctor and discuss. Ongoing pain and limitation of use may lead to arthritis later…so better be safe and get it checked out. I am 64 years old, and was diagnosed with osteopenia 4-5 years ago. My doctor prescribed a bone medication, however, I am still losing bone mass. My recent visit to the doctor said I have osteoporosis according to the numbers on the bone density test. She recommended that I take a bone drug, however, my insurance will not cover it. I’ve also read the side effects and am reluctant to take it. I continue to take a prescription once a week in addition to calcium tablets and Vitamin D. How can AlgaeCal help me increase bone mass? Thank you. Great question. AlgaeCal differs from regular calcium supplements because it has been clinically supported to INCREASE bone density. It not only contains calcium, but magnesium, vitamin D3, vitamin K2, vitamin C, boron and over 70 trace minerals. It is a complete bone-building supplement, which ensures your bones are getting what they need. We have many customers who take bisphophonates in addition to AlgaeCal and have seen increases in their bone density. You will see some of those stories. While this can and does happen, we do not guarantee you will increase your bone density when taking a bisphophonate. Unfortunately, prescription bone drug use results in poor quality bone which may affect your ability to build bone. Saturday & Sunday: 8am to 2pm (PST). Also, if you have any more questions for me, please let me know!